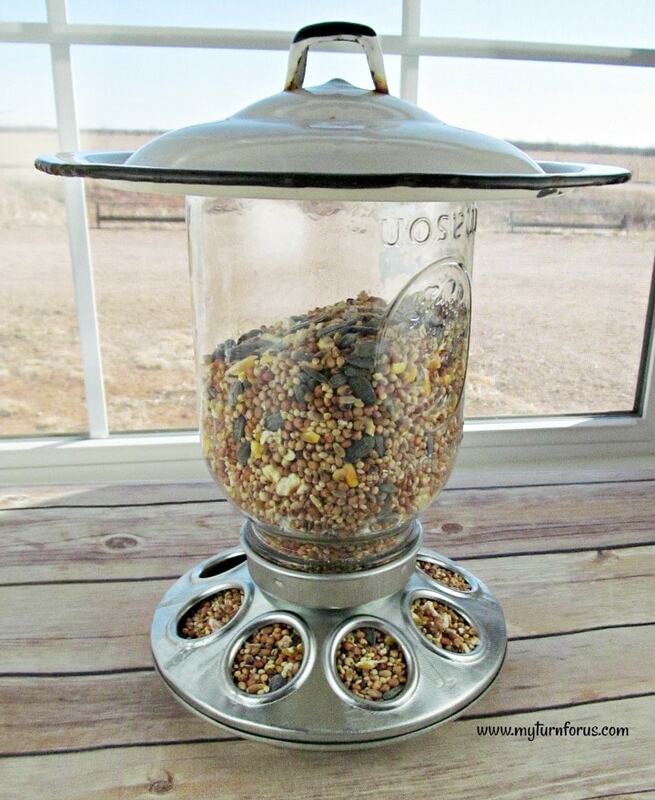 We just made this Unique Mason Jar Bird Feeder in just a few easy steps and it is so cute hanging in our backyard. Not that we don’t have enough hanging bird feeders around the Ranch but we could always use one more especially if its a cutie like this one. In winter and early spring, it seems like we can’t keep enough bird seed out for our feathered friends around the Ranch. We have several unique bird feeders and a couple of cheap plastic ones which unfortunately don’t last too long in our Texas summer sun. 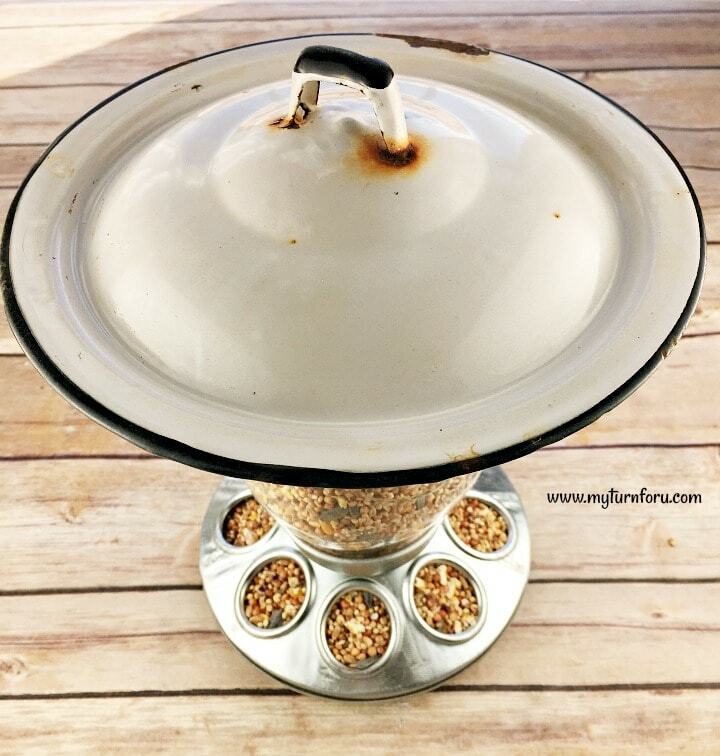 So we came up with this simple solution for a long-lasting and durable bird feeder. We bought a couple of these inexpensive baby chicken feeders to start our Mason Jar bird feeders. These can be found on Amazon or purchased online at Tractor Supply or at your local Feed Store. A regular mouth quart mason jar is screwed into the baby chicken feeder (base) and can be purchased on Amazon. 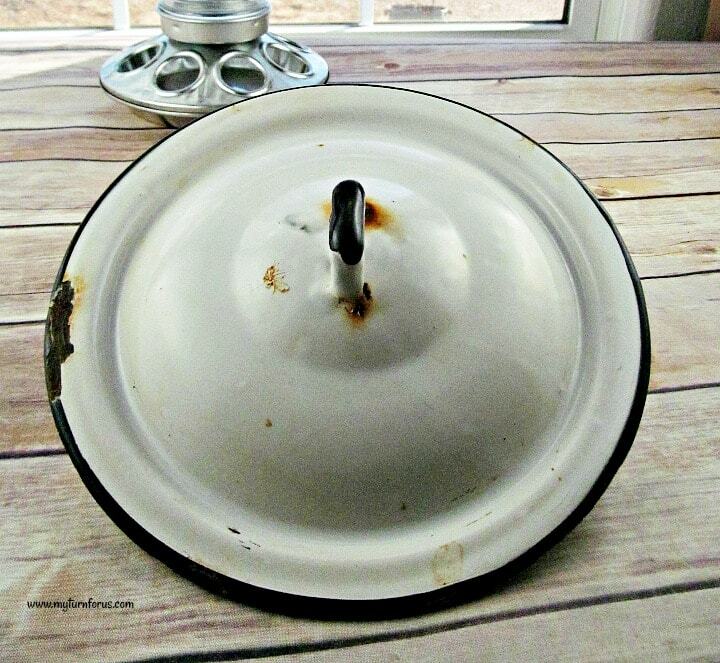 We found this old lid in a local antique/junk store, it’s an 8-inch metal vintage enamelware lid. 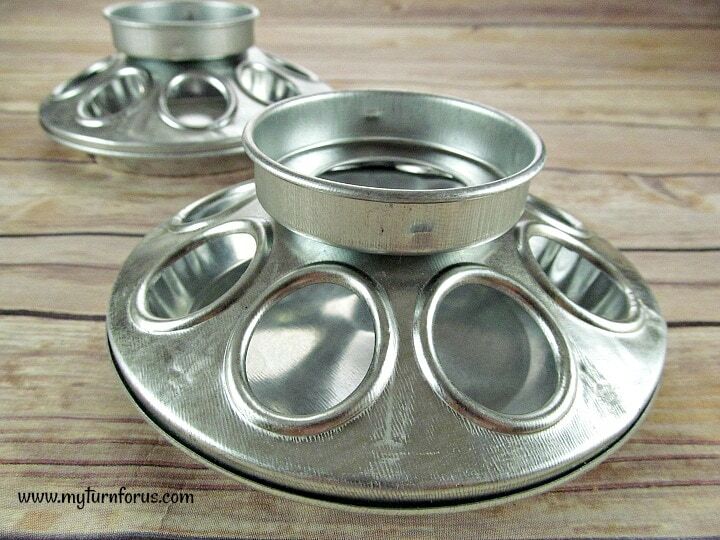 These can also be found on Etsy or eBay or you can go junkin’. This will enable us to turn this feeder into a hanging bird feeder. 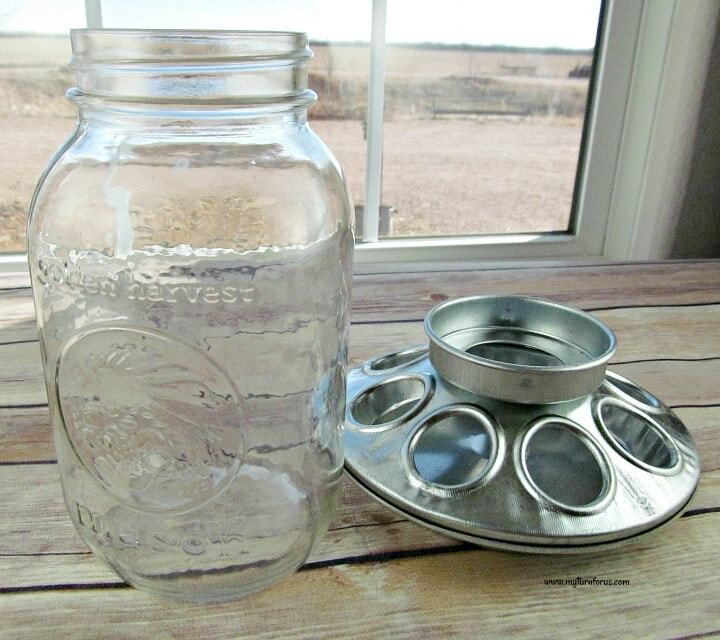 Using Gorilla Glue, we centered and then glued the vintage lid on the bottom of the glass mason jar. (Note: the bottom will actually become the top after the jar is screwed into the baby chicken feeder) Be sure to let the glue dry at least 24 hours prior to hanging. 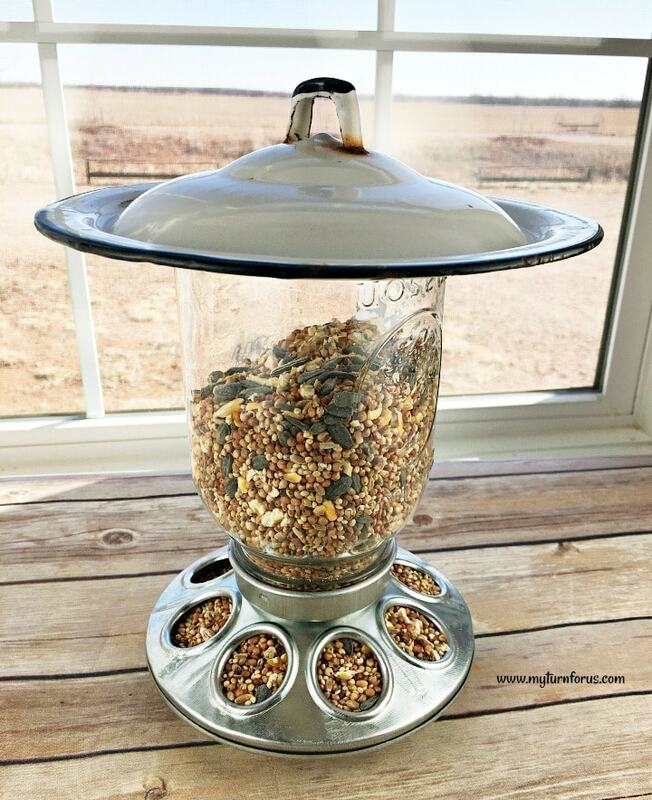 The handle on the lid is perfect for hanging this bird feeder in a tree using these “S” hooks or on a garden shepherd’s hook or this awesome multi feeder station. 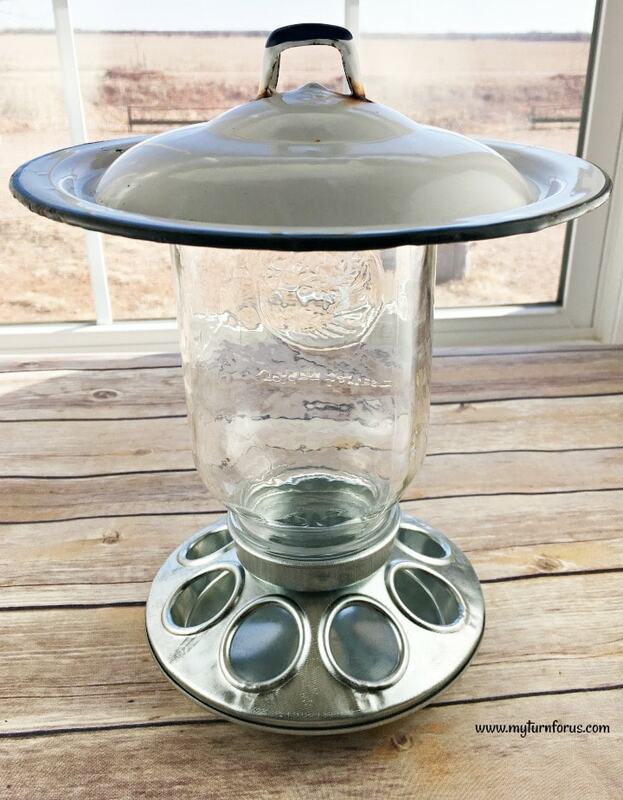 Our sweet feathered friends should be very happy with our new unique mason jar bird feeder. The lid is large enough to protect them and their food from the rain. And the West Texas sun will have a hard time destroying this hanging Bird Feeder. 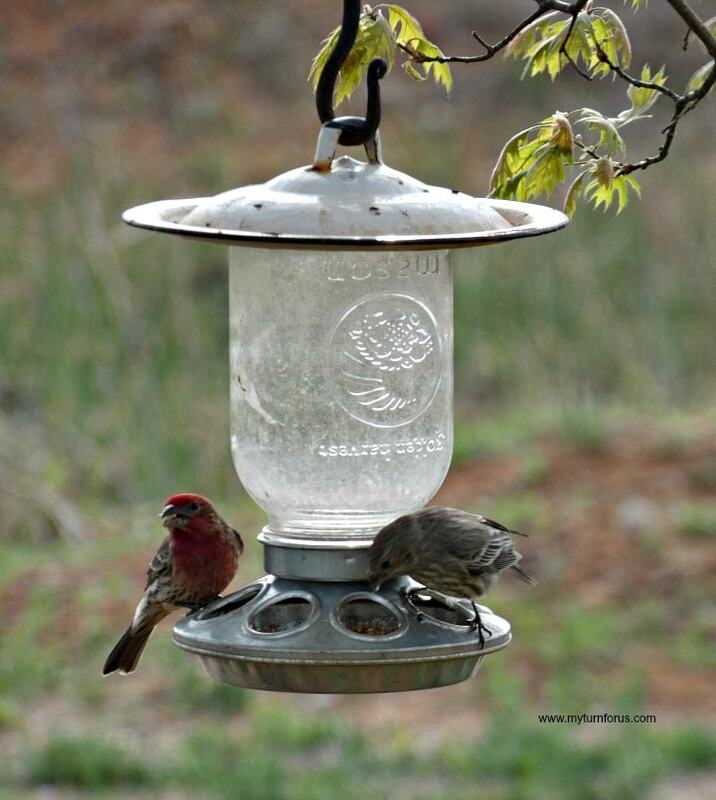 We are planning on making several more of these bird feeders, we just need to plan another trip to our Antique Store.